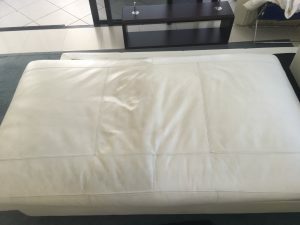 At XtraMile Carpet and Pest Management we offer an experienced and quality upholstery cleaning service, which includes a 6 step cleaning process. Step 1. Colour test to make sure colours wont run. Step 2. If necessary use drop sheets under upholstery to protect floor (carpet, floor boards and tiles). Step 3. Pre-treat all necessary stains. Step 4. Apply shampoo to upholstery. Step 5. 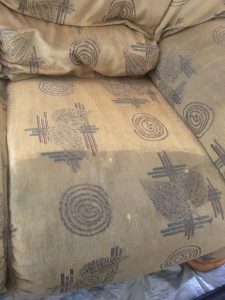 Clean upholstery with hot water extraction (steam clean). Step 6. Apply Ecoshield to upholstry to protect against stains and re-soiling (Optional Extra). At Xtra Mile Carpet & Pest Management we understand the value of your leather furniture. We take extra care to make sure leather is cleaned to the highest of standard. Step 3. Wipe down leather with hot sponge to remove dust and to open pores for clean. Step 4. Gently clean leather using leather cleaner. Step 5. Apply conditioner to rehydrate, prevent cracking and give your leather that new feeling again. We also specialise in Mattress cleaning and Vehicle upholstery cleaning.